I’ve been experimenting with fluoride free toothpaste because I’m a nutcase who doesn’t believe in fluoride being the only way to protect our teeth from decay. Not only has my dentist confirmed my teeth are fine after a whole year of F-free brushing, it turns out she uses the same toothpaste!! I love the taste. The cinnamon version of it, however, irritates my mouth. The mint version is perfect and relatively cheap. Some people write the ingredient sodium lauryl sulfate is supposed to be missing but that really sodium coco-sulfate, which this paste contains, is the same thing. SLS is a substance many people try to avoid. The thing about this one is you really only use a pea sized amount and it’s enough. Quite potent stuff, stains the brush a little but the herbs work better than in Xyliwhite. I like the idea that it contains calcium carbonate to re-mineralize teeth. Magnesium oil (magnesium citrate) in a home made tooth paste is what I want to try next. Read about it enough, now it’s time to try it out! So what’s the best toothpaste? 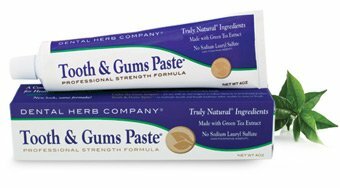 I gave you my consumer report describing the kinds of natural and effective toothpaste I tried. Hopefully it may help you out, too. For the IT guys out there, I bet you worked with VMs already. Have a look at how Hyper-V backup can be done locally or to the cloud on a low budget.